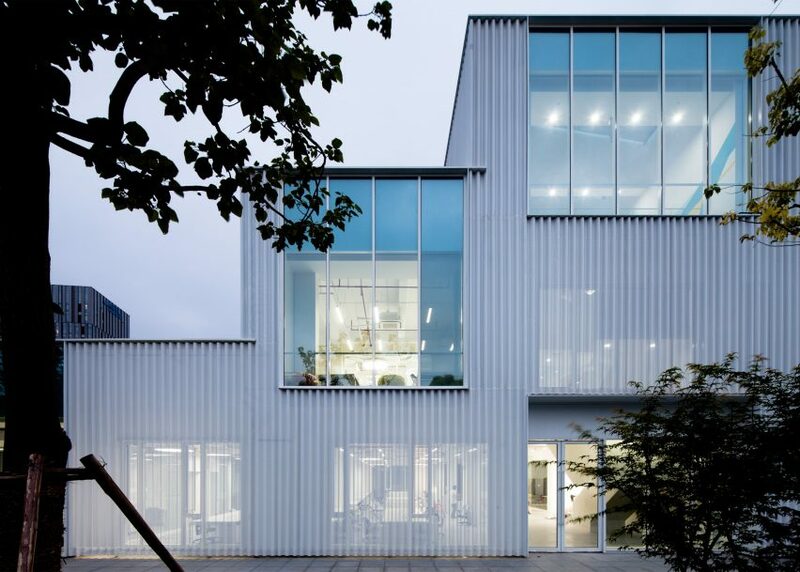 Schmidt Hammer Lassen Architects has transformed an ageing Shanghai office block into a business incubator, featuring a new translucent aluminium skin (+ slideshow). 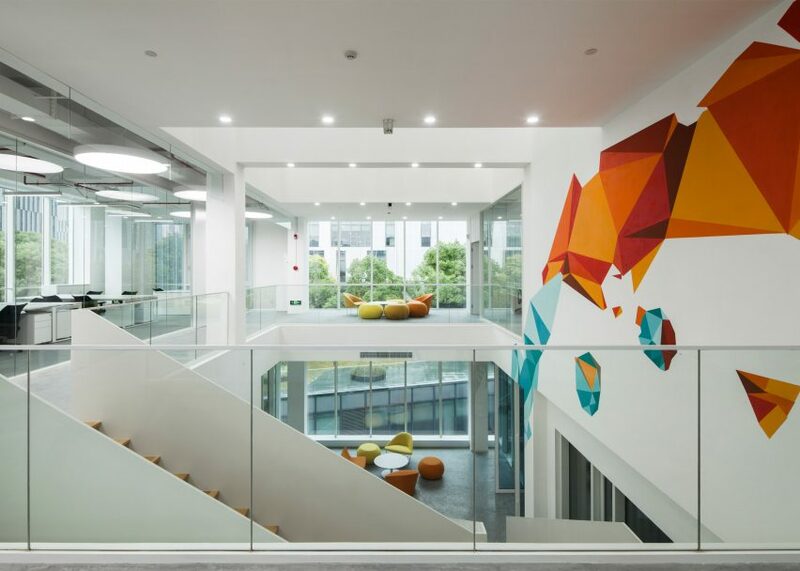 The Scandinavian firm was tasked with overhauling an office block at the CaoHeJing Hi-Tech Park – an office campus just outside the city centre – to create a new hub for startup tech companies. 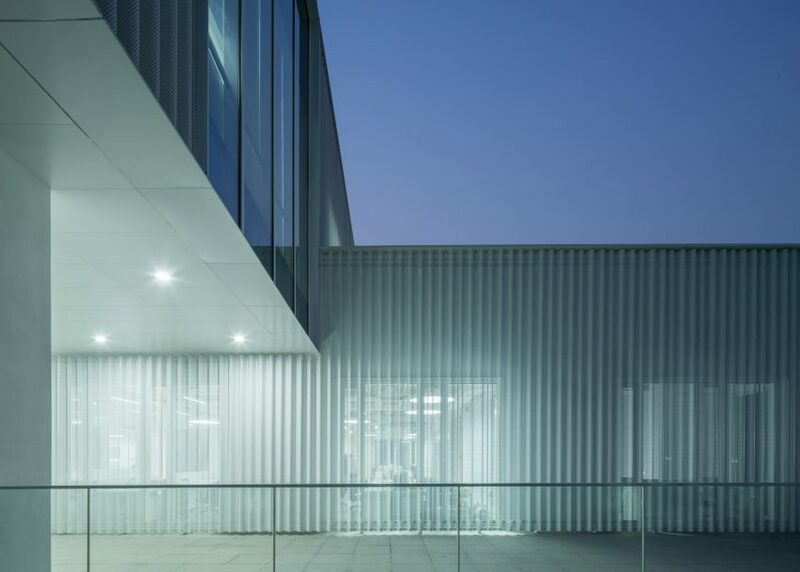 The main change is the addition of the corrugated aluminium skin, which completely covers the old rendered concrete to give the building a new identity. 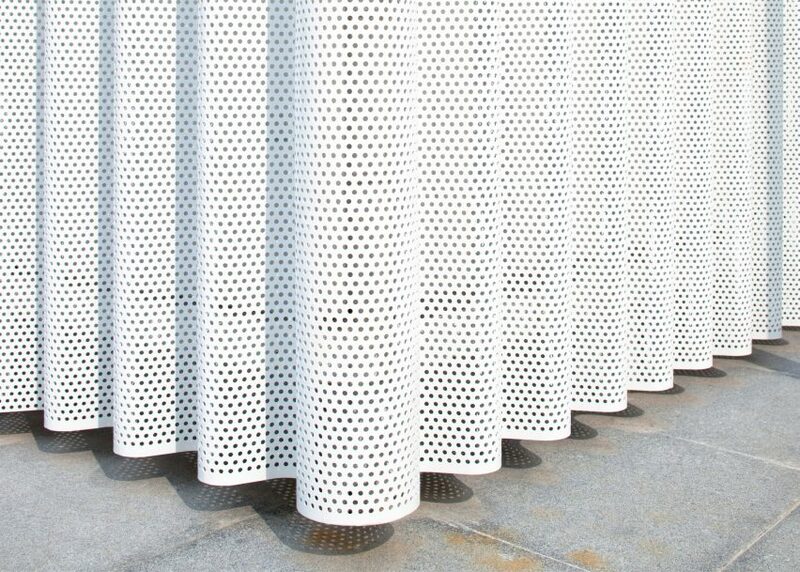 The metal is coated with white polyester powder to give it a cleaner finish, and is perforated to make it translucent. Because of this, Schmidt Hammer Lassen could use it cover some of the existing windows, creating shade and privacy where required. The material also screens a new layer of insulation, as well as some repaired and replaced service ducts. 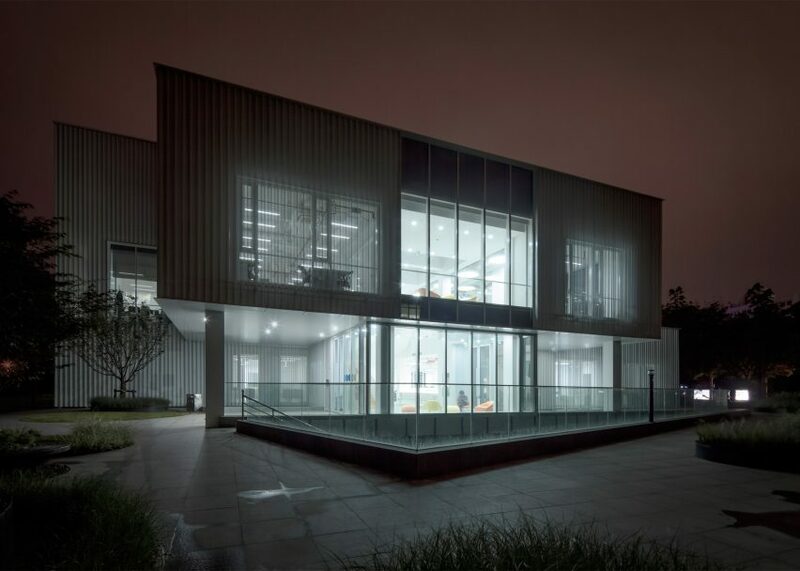 Called the CaoHeJing Innovation Incubator, the facility is the pilot project for a wider overhaul of the business park. The owners wanted to create workplaces that reflect current trends such as co-working, but to avoid demolishing the existing buildings. 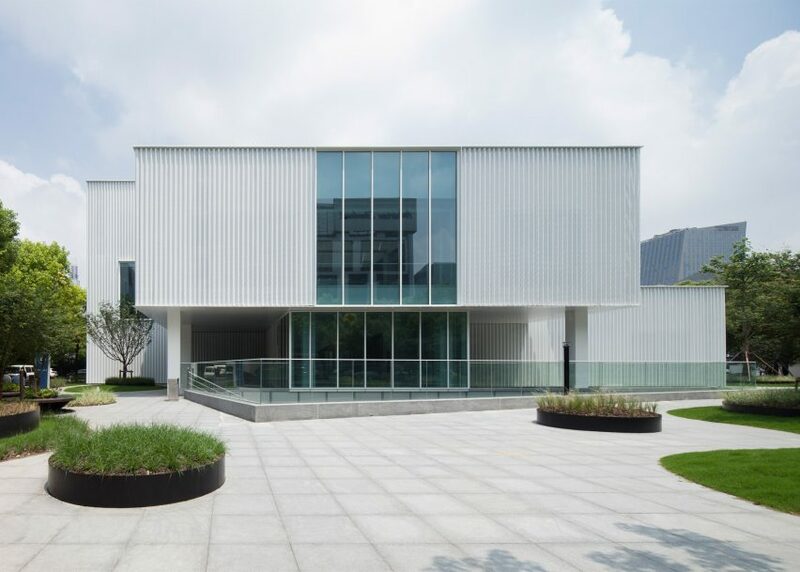 "The client expressed a desire to deal with their dilapidated building stock," said architect Chris Hardie, who leads the firm's Shanghai office. "Many of their existing buildings had been built quickly, and without much thought on basic detailing and quality, and they wanted to rectify this, to breathe life into these existing buildings," he continued. "Our proposal was all about how to get the most bang for your buck by dealing with technical issues, yet creating a bold and vibrant symbol for the young startup community on the campus." Inside, the architects removed some of the existing partition walls to create a new atrium for the three-storey building. This space helps more natural light filter into each level. 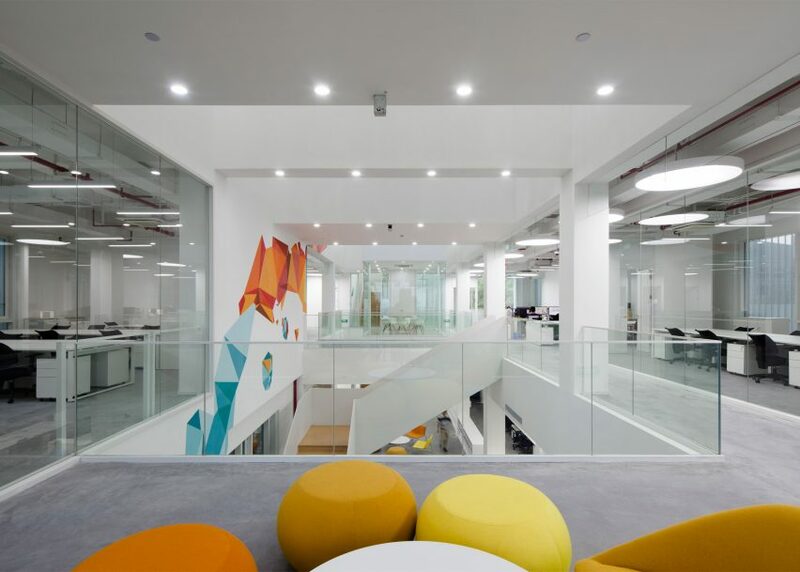 It also creates a social space for staff, incorporating a cafe, informal hangout areas and suspended meeting rooms. Most surfaces are white, helping to give the space a sense of lightness. But there are some injections of colour from select pieces of furniture as well as from a mural by local graffiti artist The Orange Blowfish. The next step will be to apply the same design concepts to other buildings on the campus. 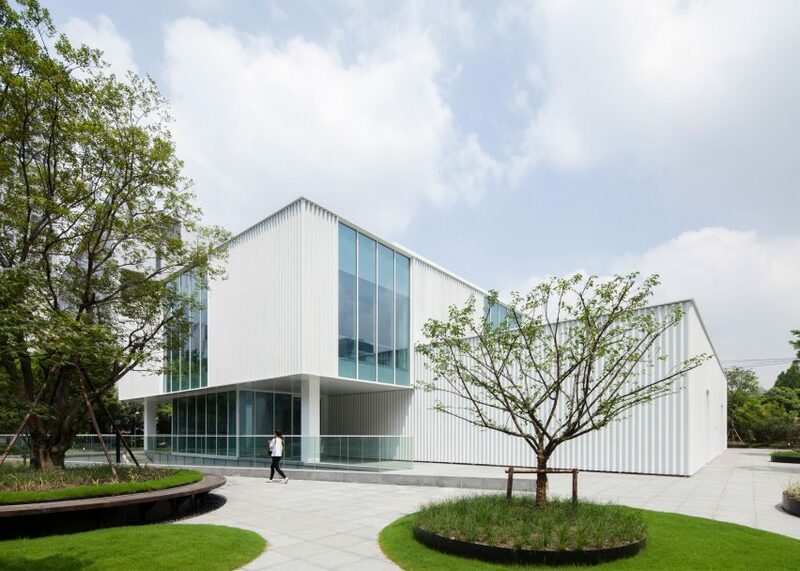 Hardie sees the project as indicative of a growing trend for renovation in Shanghai, demonstrated by projects like Neri&Hu's conversion of a colonial police station into a design centre, and the ceramicist's atelier created by Archi-Union in an abandoned warehouse. "This is definitely a trend we are witnessing in China, where we have similar projects in other parts of Shanghai and Beijing," he said. "The client, in particular, is actively entering into partnerships with incubators around the globe, many from Silicon Valley," he continued. 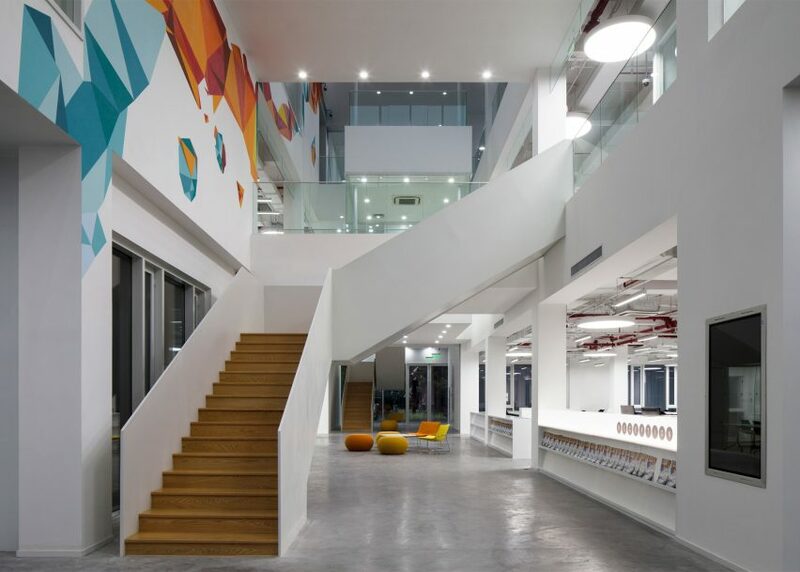 "In order to solidify their position, they understand that they need good, sustainable workspace from which they can build their own tech community". Schmidt Hammer Lassen now has offices in Copenhagen, Aarhus, Shanghai and London. Other recent projects in China include a pavilion with a cloud-shaped centre and a proposal for the world's largest waste-to-energy power plant. Photography is by Peter Dixie, unless otherwise indicated.